The previous post in this series explored LinkedIn endorsements and recommendations. Chris and Dan used those features to locate a potential consultant with particular skills and considered recent refinements to those features. We also explore the new LinkedIn Learning site made possible by the acquisition of Lynda.com. In this post, we explore how endorsements and recommendations might help LinkedIn earn back the roughly $300,000 that they paid for each of Lynda.com's 5000 courses. In the second post in this series on eCredentialing, Dan discussed how new digital Learning Recognition Networks (LRNs) can simultaneously support the goals of learners, educators, schools, recruiters, and admissions officers. A reader posted a question on that post about how the endorsement practices afforded by these new LRNs build on the existing endorsement practices, like those at LinkedIn. Since its launch in 2002, LinkedIn has grown into the largest digital LRN in existence. So, this is a great question. Dan did some digging using his own network to hunt for someone with very specific competencies, while Chris dug into the recent research and improvements to LinkedIn Endorsements. We also peeked into the new LinkedIn Learning made possible by the acquisition of Lynda.com. In the third post of this series, we discuss the Open Badge Specification and its shift from the Badge Alliance to the IMS Global Learning Consortium in 2017. We then discuss the crucial Endorsement features that will be supported in the forthcoming 2.0 Specifications. We will use the example of Luis Lopez's HIPAA badge described in the first post in this series to consider how these new features might operate. This illustrates how Endorsement 2.0 will be crucial in the new Learning Recognition Networks that Dan described in the second post in this series. In this detailed post, I discuss the announced release date of the MyMantl Learning Recognition Network (LRN) from Chalk & Wire and argue that such digital LRNs can add value to online career and professional education programs. 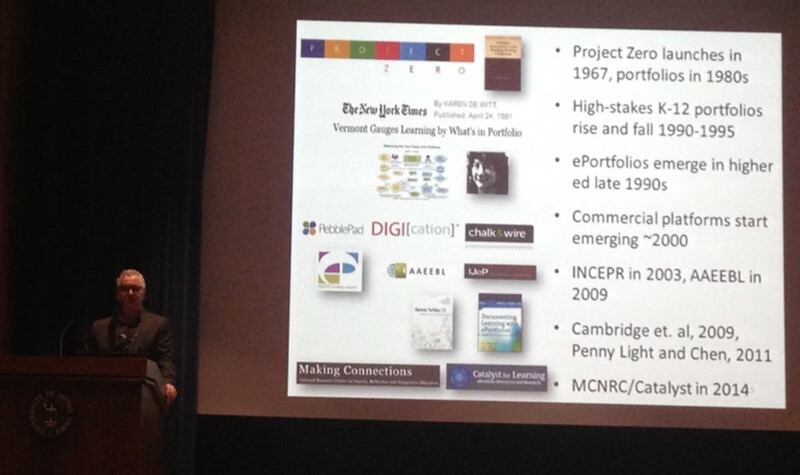 This includes more conventional continuing education programs and newer MOOC-based "micromasters" programs. Both types of programs promise inexpensive short-term solutions for career entry/change/advance, but they introduce serious challenges for assessment and accountability. New digital LRNs can help. In this detailed post, I illustrate how the Portfolium ePortfolio platform is breaking new ground with digital badges and new networking features that readily connect learners and potential employers. In particular, I highlight my own interaction with a student in LA around one of the badges he earned in his coursework. I presented this example in talks at ePIC in Bologna and Mozfest in London and lots of people had questions about it. What I find particularly exciting about these developments is how it shows healthy competition to around the most effective communication about competencies and evidence of competencies among educators, learners, and employers. The communication is crucial because it provides information about the context in which students competencies were developed and (therefore) the range of contexts where those competencies will be most readily deployed in the future. This is the second post in a series on the topic of validity in educational assessment. In my first post, I described the traditional characterization of content-related, criterion-related, and construct-related evidence as they are relevant to educators and credentialing innovators who use and design assessments. This post summarizes traditional characterizations of “consequential validity.” This aspect of validity concerns the broader consequences of administering assessments to learners and using the resulting scores. It is a complex idea that is really crucial to many assessment and credentialing innovators (because broader change is their goal). Many measurement professionals have long argued that it an "unsanctioned" aspect of validity. Before I write about how that is changing, I want to describe how consequential validity has traditionally been written about and why I have long disagreed. In my work with the Participatory Assessment Lab at Indiana University and in my graduate education courses, I spend a lot of time helping people understand validity in the context of educational assessment. In this post, I describe validity as it has traditionally been presented to educators. I summarize what one leading textbook has long said educators should know about validity when assessing learning in their own classes, and I extend that to credentialing innovators who are developing digital badge systems, micro-credentials, and competency-based educational programs. In subsequent posts, I will explore traditional views of “face validity” and “consequential validity.” Together, these posts will lay the groundwork for a final post that will explore several new developments in validity theory that I believe are important for these two communities. This is a brief report and link to a slideshare from the keynote address at the 2016 Midwest Meeting of the Association for Authentic, Experiential, and Evidence Based Learning. It summarizes potential synergy between these two important educational technologies, as well as progress towards this synergy by the seven leading eportfolio platforms and between AAEEBL, the Open Badges in Higher Education Project, and the Badge Alliance. Once I get this post up I will get to the several dozen emails awaiting me in my inbox with headers suggesting that we have indeed made some progress towards increased synergy. This is the third post about my collaboration with Iridescent Inc., a science education non-profit in LA. This new post describes how a key assumption in newer "situative" theories of motivation can resolve the tensions between prior empiricist and constructivist approaches. When combined with Design Based Research methods, this assumption can result in a coherent "roadmap" towards synergy across the three approaches. I contend that such a roadmap can help Iridescent and other informal STEM innovators find a route that takes them from current levels of engagement to much higher levels of engagement, both in terms of quantity and quality. Labels: Badges, Bandura, informal science, Iridescent Inc., Lepper, Malone, motivation, situativity. This extended post is the second in a series of post about my work with non-profit STEM education start up called Iridescent. 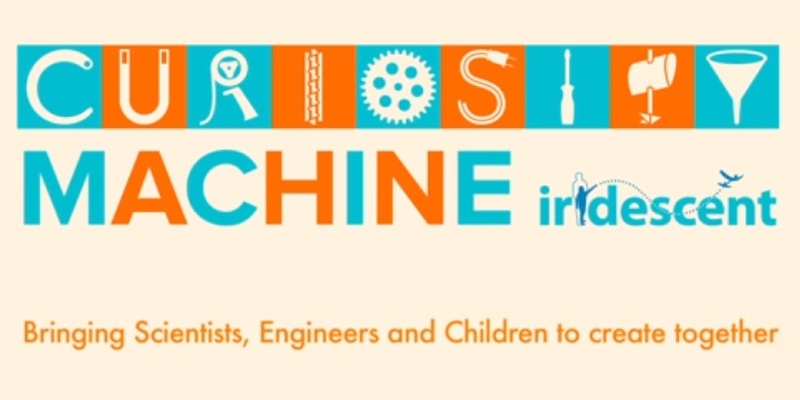 In a previous post I describe their Curiosity Machine and an evaluation I carried out of a program designed to encourage families to complete Engineering Design Challenges on that website from home, after attending two-hour weekly evening workshops. In this post I explore the challenges that organizations like Iridescent and science museums face in attempting to motivate inquiry learning in informal contexts. I am also using this post as my weekly contribution to the graduate education class on motivation that I am currently teaching. 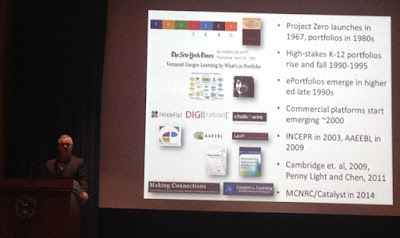 The Data of Learning: A Response to Martin Kurzweil's "Responsible Use of Student Data"
In mid-April, Stanford University hosted the "Learning Summit 2016: Inventing the Future of Higher Education." For those of us who study how the newer processes and protocols of using student data have ethical and legal consequences, one session in particular should be of interest: Marco Molinaro (UC Davis) moderated a panel on the "Responsible Use of Student Data for Individual and Organizational Improvement" which included speakers Martin Kurzweil (ITHAKA S+R), Mitchell Stevens (Stanford), and Kent Wada (UCLA). Kurzweil provided a recent blog posting summarizing the panel discussion, raising some important points. In this post, I share some things I have learned about the design of "semi-formal" science learning environments that I learned working with a remarkable science education non-profit in Los Angeles called Iridescent. The 2016 conference of the American Educational Research Association (AERA) will happen next week (April 8 - April 12) in Washington, D.C. There are some events related to open digital badges, so I'll discuss them briefly along with links to additional information. There is also an interesting disparity between the growing embrace of badges and the relatively little coverage at AERA. In this longer post, I explore some of the issues around recognizing and motivating an entrepreneurial "mindset" using digital badges. I am collaborating with Rebecca DeVasher at Rose-Hulman Institute of Technology and Helen Chen at Stanford University. They and their colleagues are working with the Kern Entrepreneurial Engineering Network (KEEN) on programs to help engineering students develop the dispositions needed to be a successful entrepreneur alongside their more conventional technical skills and problem solving ability. At the end of 2015 and beginning of 2016, there have been a number of changes at the Badge Alliance. In a recent blog posting, Nate Otto, Director of the Badge Alliance, sets out an ambitious agenda for 2016. Beyond the on-going work of supporting productive and evidence-rich badging projects, the Badge Alliance is also concentrating efforts on communicating across the various communities and providing technical support to the ecosystem. We summarize some of those initiatives here. "Promoting more meaningful contributions to others, community service and engagement with the public good. Assessing students' ethical engagement and contributions to others in ways that reflect varying types of family and community contributions across race, culture and class. Redefining achievement in ways that both level the playing field for economically diverse students and reduce excessive achievement pressure." Those of you who follow RMA can likely appreciate how much this means to us and where this post is going. Yup. Badges and assessment. That second recommendation is going to be a really tough one to implement. As we will elaborate in some length, open digital badges are intended to provide valid evidence of accomplishment outside of accredited contexts. Some new developments may allow them to serve precisely this function.